New patients are always welcome at Anthony Armstrong’s Aesthetic and Reconstructive Plastic Surgery practice at The Nuffield Health Woking Hospital. We endeavour to provide a courteous, professional and comprehensive service. Many of Mr Armstrong’s patients are typically recommended by those already under our care. Others are referred by General Practitioners or specialists seeking advice or treatment for their patients. Anthony Armstrong has been a Consultant Plastic, Reconstructive and Cosmetic Surgeon for 16 years and is committed to providing the highest standards of care, combined with sound clinical judgement and customised to the individual needs of each patient. 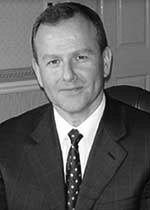 Anthony Armstrong passion for aesthetic surgery is reflected in the many hundreds of contented patients who have benefited from treatments under his care. He believes that it is essential that anyone considering cosmetic surgery should seek an experienced and qualified surgeon in aesthetic surgery for independent professional advice. All surgical treatments should include a full discussion of suitability, results, complications and expected recovery. In an era of “quick fix” plastic surgery, quality surgery stands out more than ever because of the excellence of its results. Mr Armstrong has a keen interest in restoring vintage boats and partakes in other activities such as cooking, cycling and travelling. Mr Anthony Armstrong does not hold a share or financial interest in this hospital, another Nuffield Health hospital or the company. Mr Anthony Armstrong does not have a share or financial interest in equipment used at this hospital or another Nuffield Health hospital. Mr Anthony Armstrong does not hold any paid advisory role(s) at this hospital or on behalf of Nuffield Health.